This acrylic painting was done as a submission for the U.S. Duck Stamp competition. 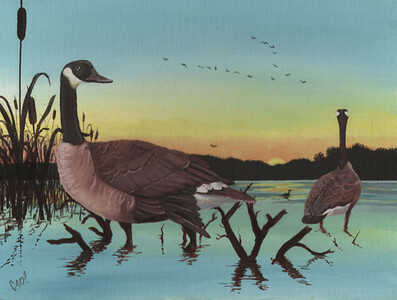 Though it wasn't selected that year I did enjoy painting the waterfowl. The painting was done from reference photos and I'm looking forward to continue submitting new work in the competition.